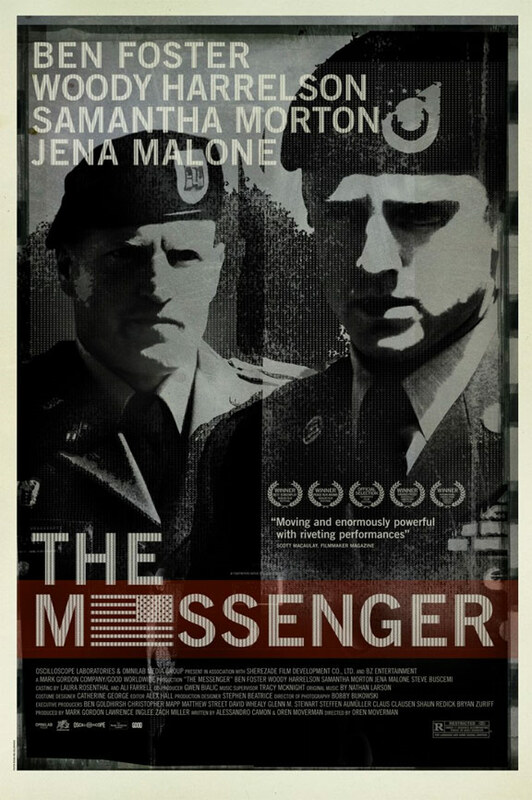 This entry was posted in Actors, Death and Dying, Iraq, Movie, Reflections, Trailer, Veterans, War Movie and tagged Ben Foster, Death and Dying, Movie Trailer, Movies, The Messenger, US Movie, War Movies, Woody Harrelson. I saw this picture some time ago and still have a draft review of this waiting to be finished(!) because I’ve been lookig for the right words… and I think you nailed it. Two things I took away from it. 1) That these guys were no different than the guys on the front line in that they have a crappy job, someone’s got to do it, and it might as well be them. I didn’t really pick up on this until one of the last scenes with them in the apartment. and 2) The relationship with the widow just felt like such a train wreck. You want to sit there screaming, “What are you doing? !” at each part of it, while at the same time you can’t look away because you know something important is going on. A good, highly emotional, and very underrated movie to be sure. I am going to look for your review, will be curious to read it. I wanted to mention something but then forgot, namely that it is quite a new job. Remember the scenes in We Were Soldiers? All those those telegrams delivered by taxi? That is such a cowardly way of doing this. Maybe you could mention it. I don´t envy those guys.